Part of the adventure of a vacation in St. Barths is simply getting there. This tiny French and Dutch flavored island has the world’s second shortest airport runway. At any given moment you’ll find tourists standing on a nearby hill with cameras in hand. They’re snapping photos just in case an airplane overshoots the runway and ends up in the Caribbean Sea. 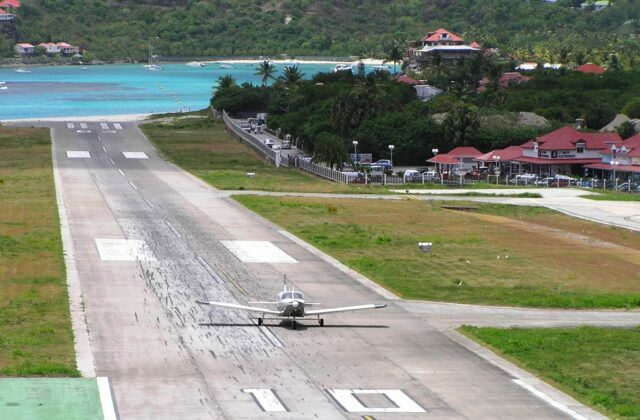 The pilots at St. Barths Commuter airline know this runway like the back of their hand. These hometown pilots land their planes like a seagull floating on to a pillow. On the other hand, for the pilot making his or her maiden St. Barth’s arrival, then it’s anybody’s guess how the landing will play out. The beautiful St. Barths countryside provides a colorful backdrop to these mini-air dramas. St. Barth’s is definitely a destination where you can anticipate a stimulating entrance and an island vacation worth remembering.